Melons are fleshy fruit that are members of the Cucurbitaceae family and are thought to have originated in Mexico and Central America. When ripe, the sweet juicy pulp is predominantly eaten fresh, however, the rind is sometimes preserved and seeds can be roasted as a snack or ground into an ingredient used in oils and sauces. Melon plants are grown as a ground vine and depending on the cultivar, the shape of the fruit may change from oblong to round, the rind from light green to dark green, the flesh from red to yellow and the seeds from white to yellow, brown or black. The Australian Melon Industry consists of approximately 250 growers producing some 217,000 tonnes of melons annually across an area of around 8,500 hectares. The major melon types produced in Australia are rockmelons, honeydew melons and watermelons. Melons are grown across most states and territories within Australia. Queensland, Northern Territory, Western Australia and New South Wales are major producers of melons with Victoria and South Australia producing lower but still significant volumes. Most watermelons are cylindrical or round, with mottled or striped green skin, and a pink to red centre. Other varieties such as champagne watermelons (with golden flesh) are sometimes available. 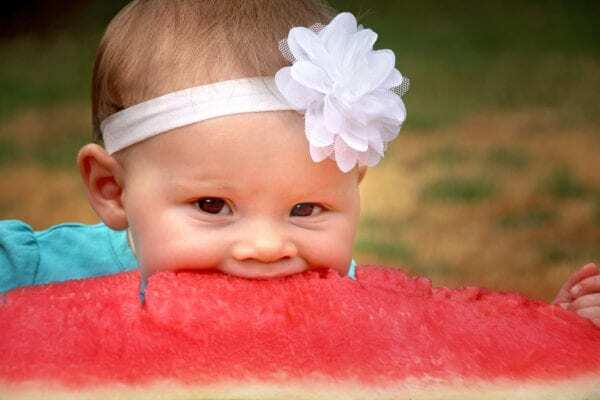 Watermelons are about 90% water, and 8-12% sugar. Many watermelons have dark brown seeds, but in recent years seedless watermelons have become extremely common in Australia. These may have some small white residual seeds. Watermelons are available all year round, peaking in summer, from December to May. Rockmelons are usually round or slightly elongated with firm, netted or scaly, cream or buff rind. Some rockmelon varieties have grooves or sutures running from end to end, and all have moist, sweet, orange to peach-coloured flesh, and a distinct tropical fragrance. The seeds are in the centre of the fruit. In Australia most rockmelons are fully netted melon with no sutures and orange flesh. They are available all year round peaking in summer (November to March). Honeydews are usually round to slightly oval (about 15-20cm diameter) with a smooth, white or gold skin. The flesh colour ranges from pale green to green, and is moist and sweet, with seeds in the centre. Honeydew melons are available all year round peaking in summer (January and February). The flesh of white skinned honeydews is sweeter, and has a higher level of natural sugars. When are melons in season? Where are the farms that produce melons? The premier festival for watermelons in Australia. Eat 2 fruit and 5 vegetables every day. Beautiful salads inspired by melons. Recipes and lots of good ideas about using watermelons.